You don’t need to have good handwriting to make beautiful letters. That’s because lettering is drawing. Unlike calligraphy, which requires you to make perfect strokes every time with a special pen, hand lettering is more like drawing shapes. 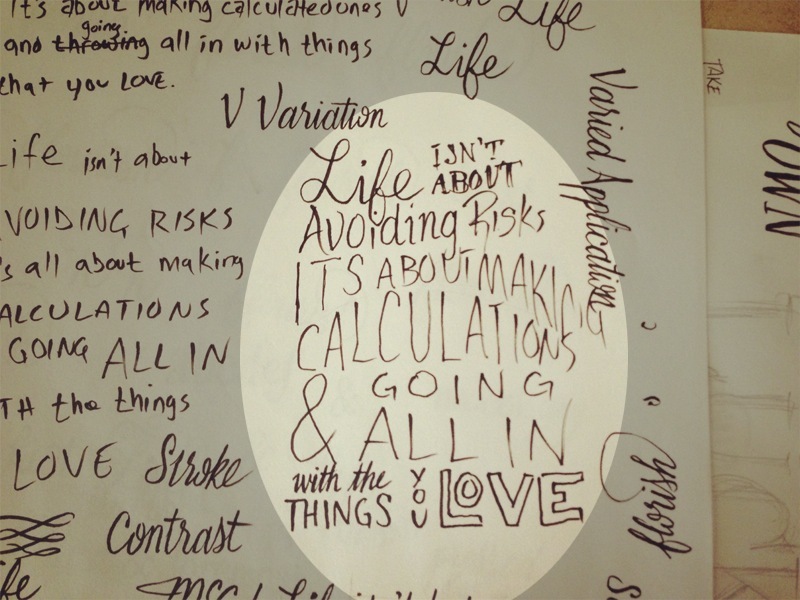 You can do hand lettering with any pen or pencil you have around your house! Of course, there are some inexpensive drawing tools that make hand lettering easier. Good pens can also help your letters look more consistent (we’ll talk more about those in a minute). I’m often asked how to do hand lettering, or where to go to learn hand lettering. Personally, I learned by observing and experimenting. I hope what I share here will serve as an invitation to explore what works best for you! Well first off, there’s nothing new under the sun—lettering is no exception. There are only so many ways you can express a letter and have it still be recognizable. Familiarize yourself with different kinds of letters (serif, sans serif, script, blackletter, etc.). Study the unique characters of type within these groups. You want to eventually be able to draw letters with proper weight and stroke contrast without reference material. This is how you will develop your own style. The best way to learn different styles is to focus on one at time. For example: pick serif to work on first. Study the history of that style, learn how it originated, how it evolved, what it was used for, what’s different or the same now compared to a few hundred years ago. 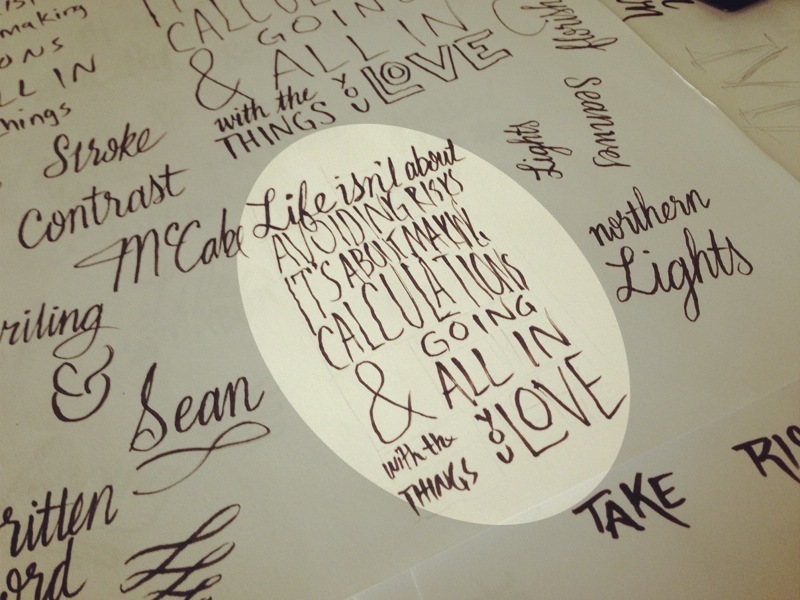 The best way to learn is to draw letterforms—and draw LOTS of them. Pick some reference material and recreate it. Start with just a single letter and pay attention to all of the subtle details and attempt to replicate it—trace the letters even. Do whatever helps you become more familiar. Of course, make sure you’re not sharing copied work. This is strictly for practice. Here is a great article with more on that: How to Be Inspired Without Copying. 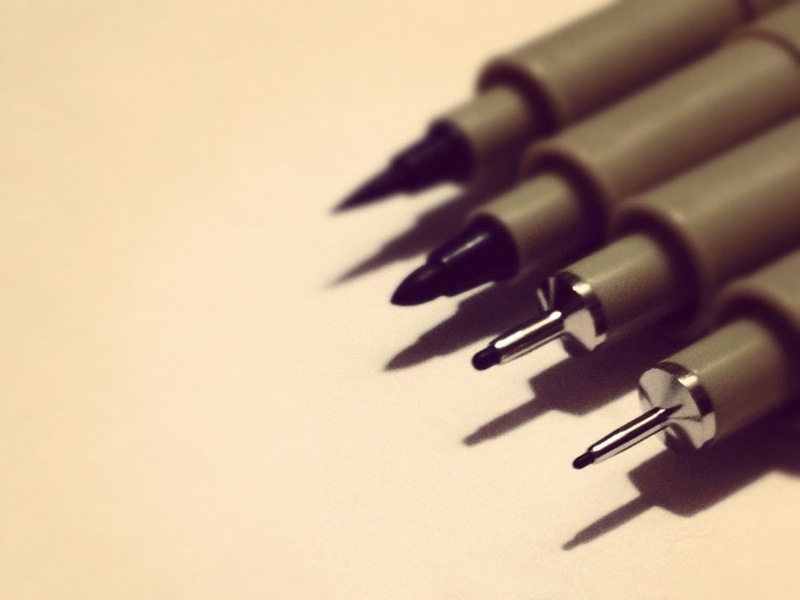 What pens are best for hand lettering? The best pen is the one you’re comfortable with. It also depends on the style you’re going for. I would encourage you to experiment. When I first started, I just used whatever pens I found around the house. Medium and instruments aren’t as important as the techniques. Give a true artist some crayons and you still won’t be able to limit him. When starting out, I like to draw a number of small thumbnails to help flesh out a general direction for the composition. For this rough stage, I’ll use either a pencil or a brush pen—just something easy to get the idea out. Use whatever tool is easiest to crank out iterations with. In this very first step, I’ve simply written out the words to be used. For this piece, the quote is one I wrote myself, so I was still working through exactly what I wanted it to say. Writing all of the words out first gives you a basic look at the number of words you have to work with. It’s also a fantastic way to overcome the blank page syndrome. 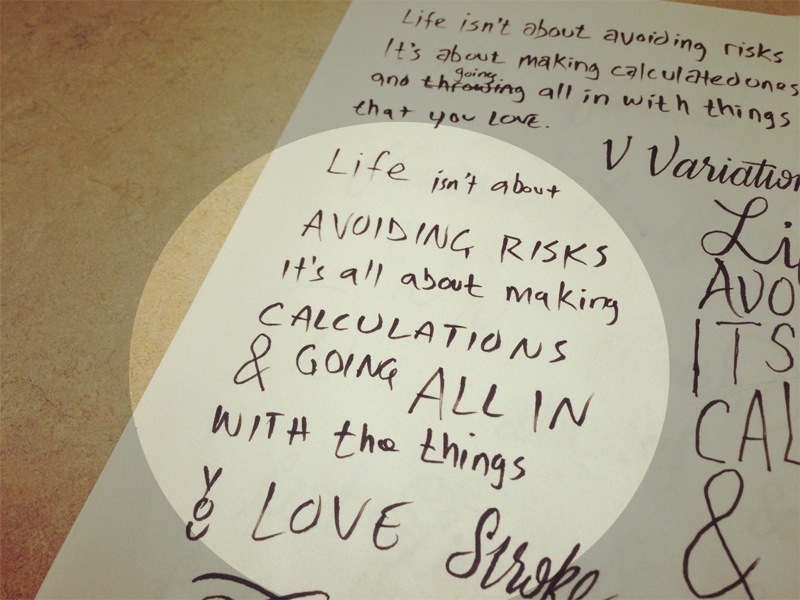 There’s no pressure, simply write out your phrase in simple handwriting. It doesn’t have to look pretty. You can see in the second version, I start to formulate a very rough composition. I’m trying a simple arrangement and thinking about which words should be in which lines. 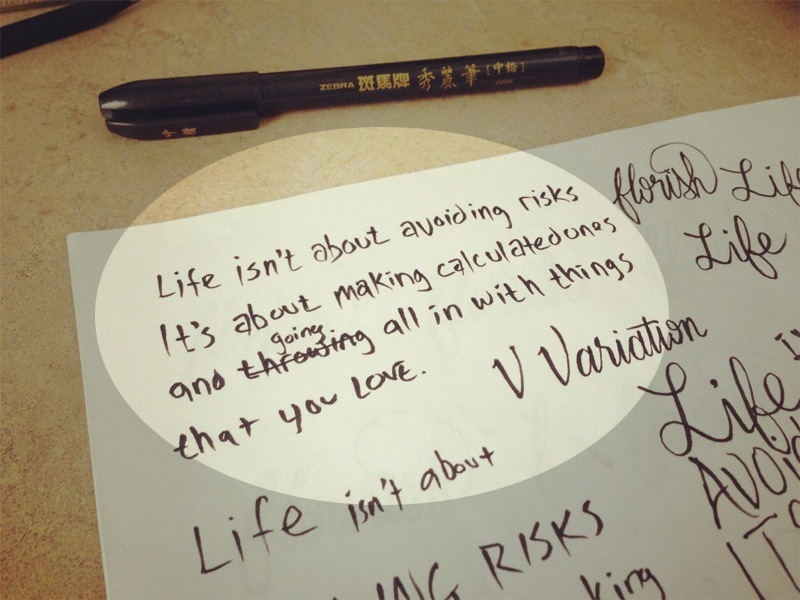 Here, I try to stack lines in a comprehensible way that places a focus on the most important words of the quote. Building off of the previous step, I begin to incorporate some vague idea of style for the words. You’ll notice I have some sketchy script, serif, sans-seirf, and block letters beginning to develop. We’re starting to get a decent idea of our composition, and we can begin to pay attention to potential letter interactions and overall balance. This improvement is subtle, but we are starting to tighten things up. The first three words are now all in one line. 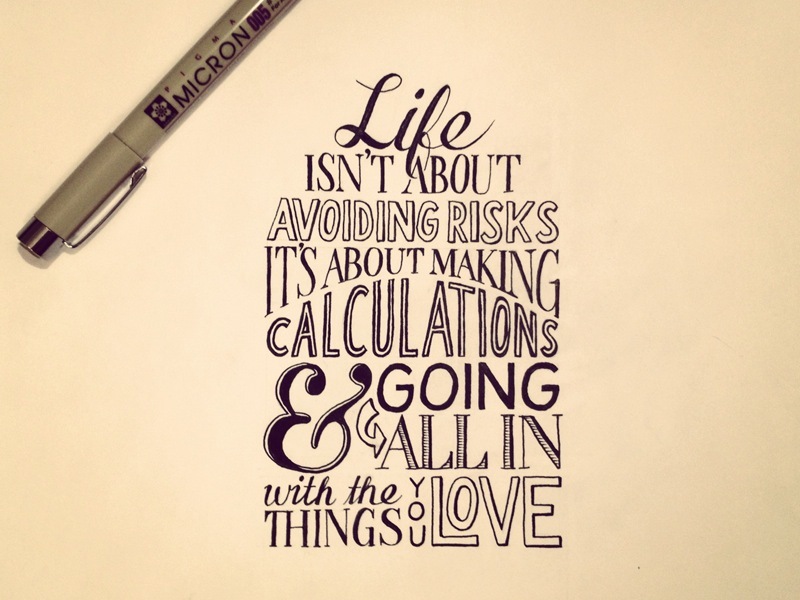 There is an interaction of the ‘f’ descender in ‘Life’ on the second line. If you look closely, you’ll also notice some faint pencil lines. These guides and shapes are used as a reference for building the initial composition sketch that comes next. Subscribe to Learn Lettering for tips and tricks that will help you improve your hand lettering skills. 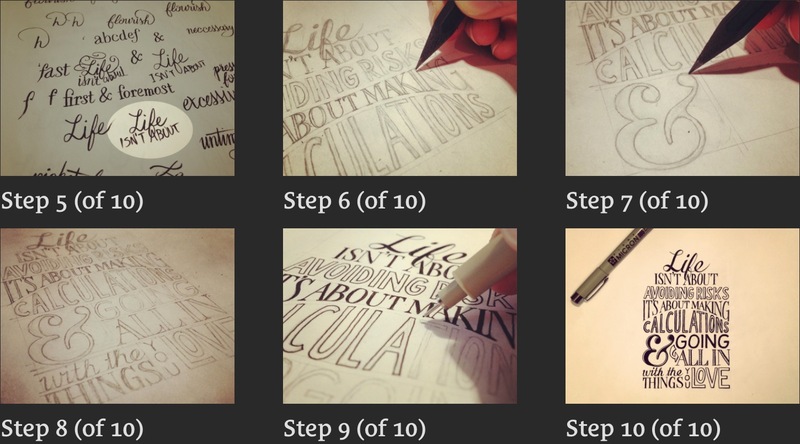 Also get access to several hand lettering video lessons. 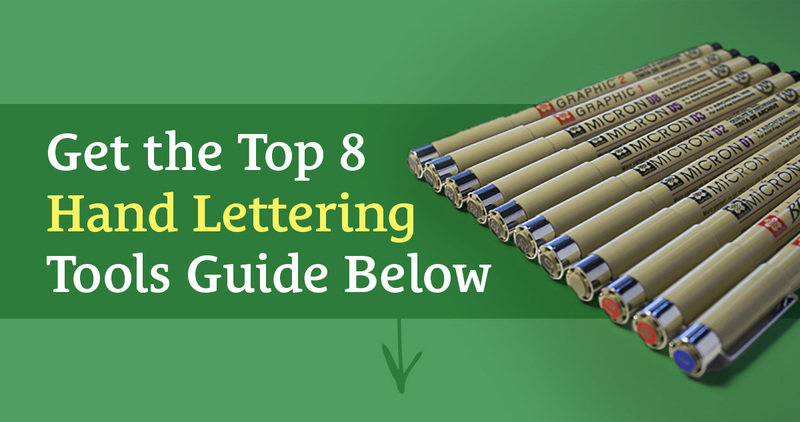 I’ve put together a list of the top 8 hand lettering tools and did the research for you to save you time. Enter your email below to get the list of hand lettering tools as well as receive the remaining six steps of the 10-Step Introductory Lettering Guide! You get instant access to the material—you don’t have to wait for it to be dripped out in emails over several days.